Tiger Global-backed Zinka Logistics Solutions Pvt. 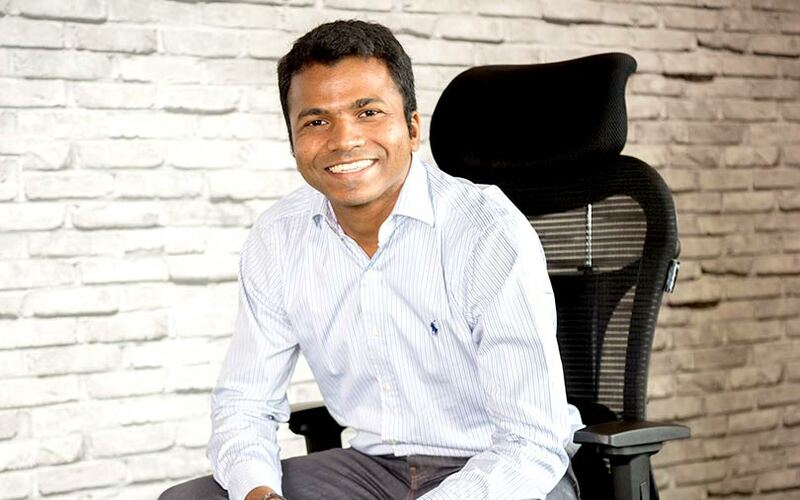 Ltd, which runs business-to-business logistics platform BlackBuck, will set up an independent fin-tech firm to deliver financial services to the trucking industry, a top company executive told TechCircle. While the three-year-old technology-enabled logistics startup already offers financial services on a smaller scale to truckers on its network, it now wants to extend those services to the overall trucking industry. It will formally announce the launch of the new venture within the next three months, the person mentioned above said. “This would essentially be a fin-tech company focused on the use cases of credit for the trucking ecosystem,” Rajesh Yabaji, co-founder and chief executive of BlackBuck said in an interview at his Bengaluru office. The company estimates that there is a $100-billion credit gap in the trucking market. “We want to address that gap. This (fin-tech) company) will not be restricted to truckers on our network,” he added. BlackBuck’s expansion into fin-tech comes some weeks after it raised $27.4 million in a round led by new investor Sequoia Capital India. Existing investors Accel Partners and Sands Capital also put in money. Yabaji declined to comment on whether this was part of a larger funding round. Prior to this, it had raised $70 million in March last year led by US-based Sands Capital. With the latest funding round, the company has secured a total of $130 million in external funding. The company’s entry into the fin-tech sector comes at a time when it is embarking on BlackBuck 2.0, a process to further streamline the current efficiencies in a sector that has traditionally been resistant to changes. “Earlier it was all about getting loans for the trucker, ensuring that the transaction goes through. Now, there is a trucker and he has problem statements. So, our next (step) is to make this inefficient process go online and become more efficient,” Yabaji said. BlackBuck, which is perhaps the largest player in the full truckload intercity logistics sector, registered a steep seven-fold rise in gross revenues at Rs 566.83 crore in the financial year 2016-17, up from Rs 81.25 crore in the previous financial year. Likewise, operational revenue, which is generated from the sales of its services, also increased seven times to Rs 563.54 crore. The company was founded in 2015 by Indian Institute of Technology-Kharagpur alumni Yabaji, Chanakya Hridaya and Ramasubramaniam B. Its operations currently span over 1,000 locations across the country, more than 200,000 trucks and over 8,500 shippers. The company claims to have a 20% market share in terms of the total capacity in the full truckload intercity space. In 2017, funding in India's fin-tech sector jumped to $1.84 billion from $447 million in 2016, according to VCCEdge, the data research platform of News Corp VCCircle. Fin-tech has been a hot investment theme with venture capital and strategic investors, particularly in the past month. Media reports had stated that Delhi-based fin-tech and big data analytics company Goals101 had raised $3.5 million in a pre-Series A funding round from global venture capital firm Nexus Venture Partners. StockEdge, a mobile app for equity research and analytics, had secured an undisclosed amount in a pre-Series A funding round from ace stock market investor Ramesh Damani. Qbera, an online platform that makes unsecured personal loans, raised Rs 21 crore ($3 million) from a business unit of conglomerate Essel Group. Bonfleet Solutions Pvt. Ltd, which runs fin-tech startup Bon, raised a seed round of funding led by impact investment firm Omidyar Network.